The wedding season never ends! 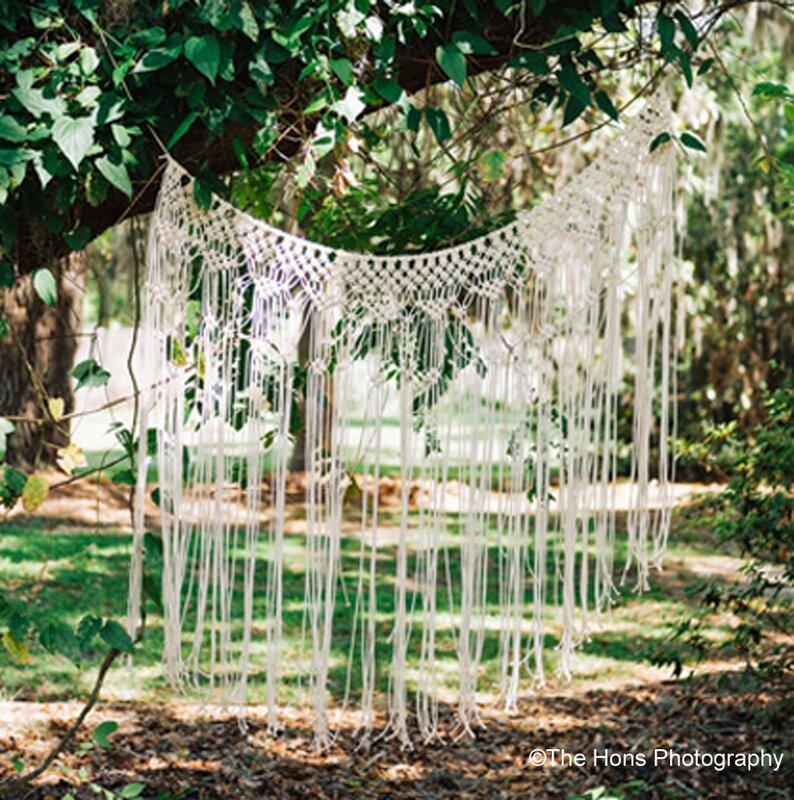 These little macrame chair backs, as with all things "boho", are very popular in wedding decor these days. 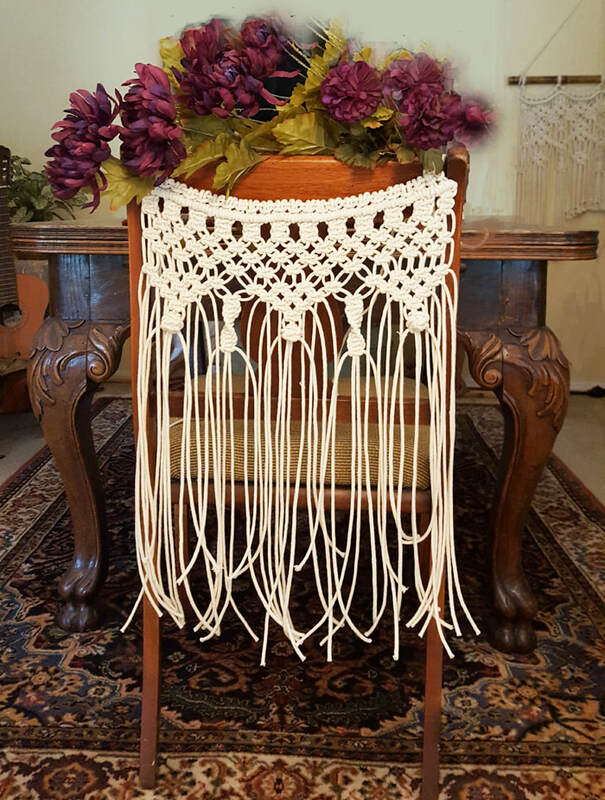 I can make these macrame pieces in whatever size chairs you have. 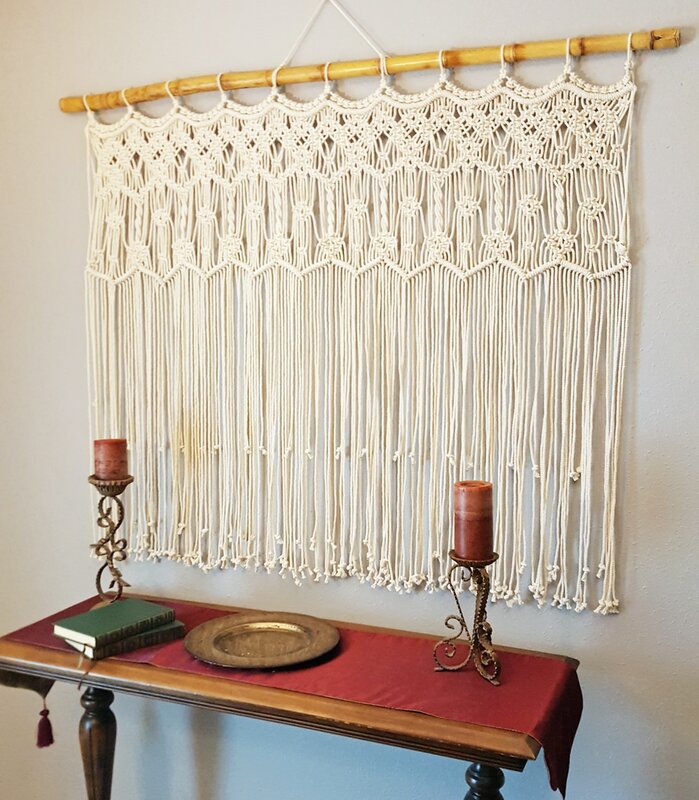 Currently, I listed 15" wide (above) by 26" long; and 11" wide (below) by 26" long on my Etsy Shop. Like most all my designs, I can adjust the width and length to suite your needs. 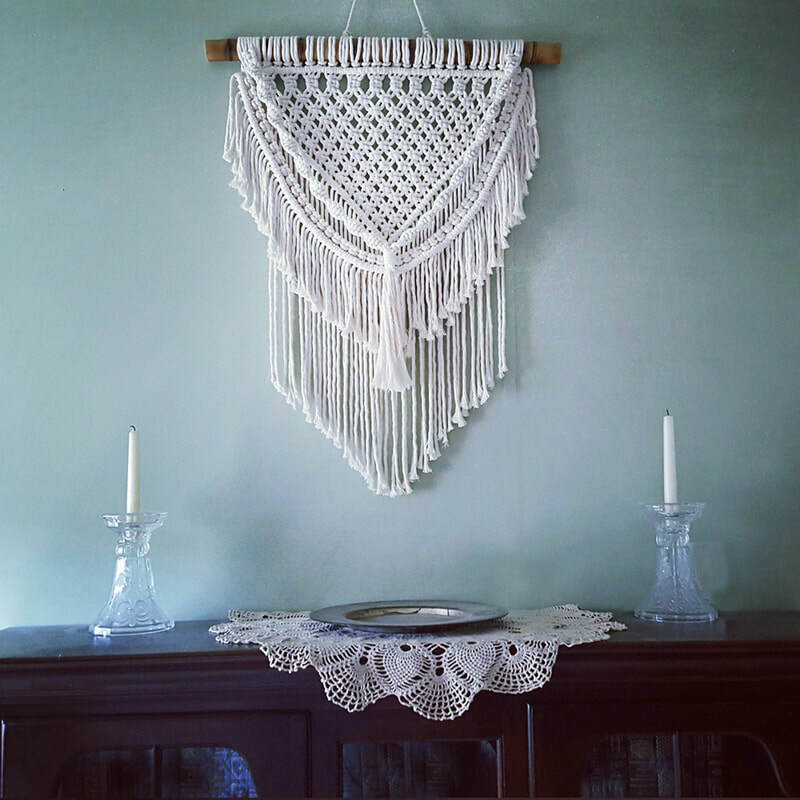 The distinctive design of "Celebration" features a double half hitch "bead" across the top, followed by rows of alternating square knots. V- patterns (3 in the 15" version, and 2 in the 11" version) end with "bulbs" and "spirals". 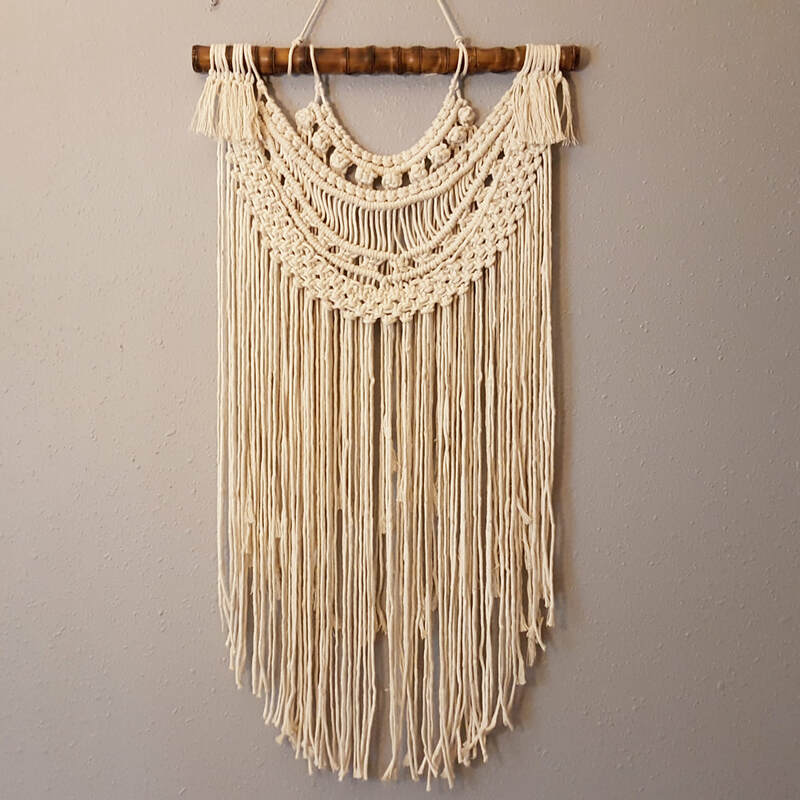 Decorate your wedding or event with "Celebration" macrame chair backs. 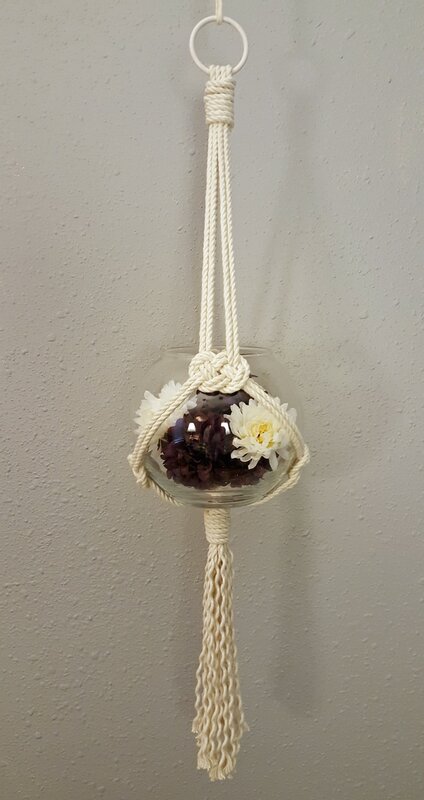 A special touch for a special occasion.